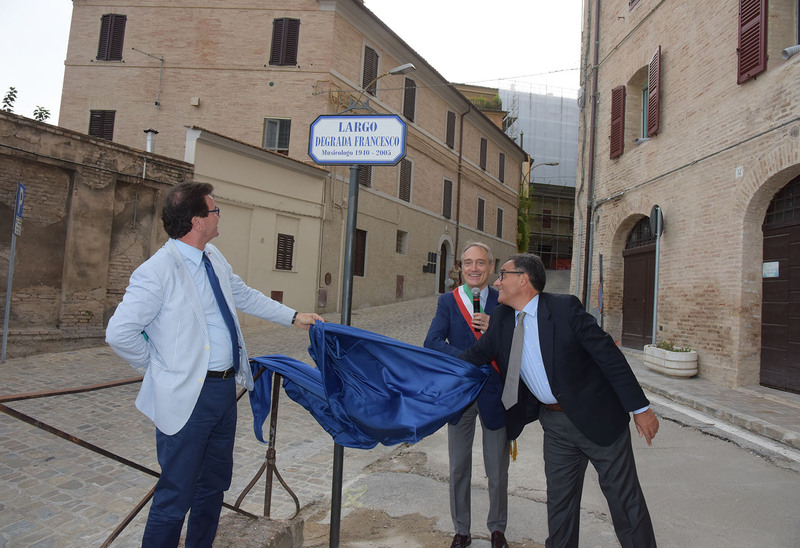 The City of Jesi, at the invitation of the Pergolesi Spontini Foundation, wanted to celebrate the Professor. 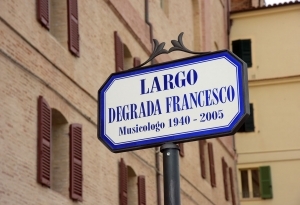 Francesco degrades, in the tenth anniversary of the disappearance, naming the distinguished studious Largo Francesco Degrada or space in front of the entrance to the offices of the Foundation, into the Pergolesi theatre. 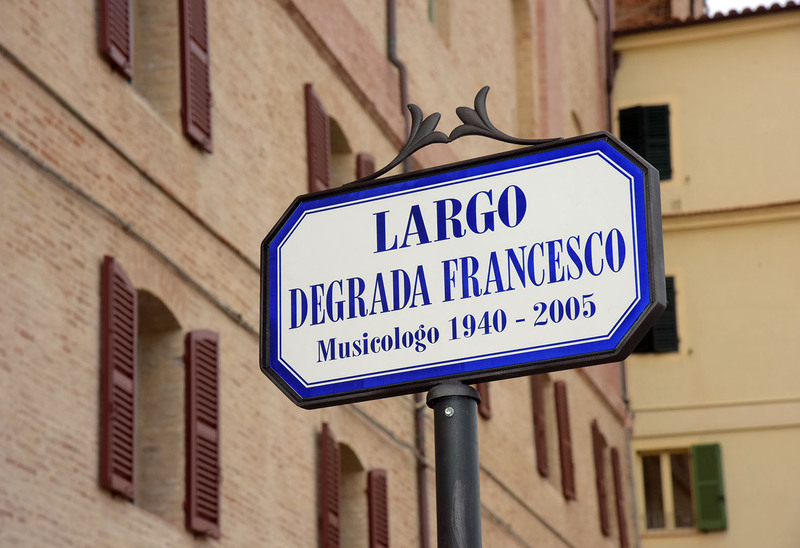 On the afternoon of September 4, 2015, on the sidelines of the first session of the International conference and the inauguration of the XV edition of the Pergolesi Spontini Festival dedicated to Francesco Degrada, the Deputy Mayor and Councillor for Culture Luca Butini, with the General Manager of the Pergolesi Spontini Foundation William Graziosi and the Adviser to the Artistic Activities Giovanni Oliva, have formalized the header, in the presence of family members, studious of Pergolesi Committee, of the press, of citizenship. In the photos, the moment of unveiling the plaque.